An openly gay attorney will head the division of the U.S. Justice Department charged with representing the United States in civil and criminal matters, the U.S. Justice Department announced Monday. Outgoing U.S. Attorney General Eric Holder named Benjamin Mizer as principal deputy assistant attorney general and acting assistant attorney general for the civil division. According to the Justice Department, Mizer started in his new role Monday. 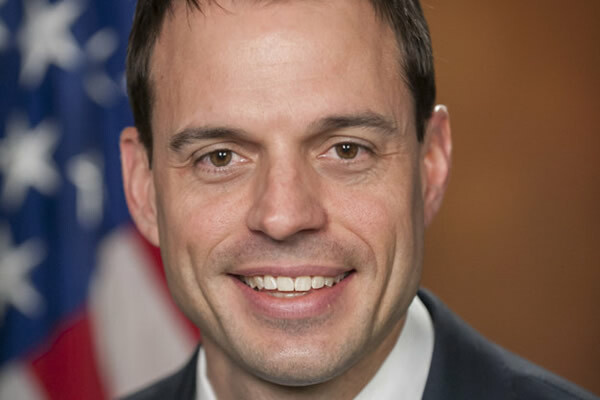 “Ben Mizer’s unassailable integrity, sound judgment and steadfast commitment to the mission of this department are just a few of the reasons he’s been chosen to serve as the new principal deputy assistant attorney general and acting assistant attorney general for the civil division – a critical and demanding post, and one in which he will undoubtedly thrive,” Holder said. Mizer, 38 and former solicitor general for Ohio, is one of more than a dozen openly gay lawyers Holder and the Obama administration have appointed to senior positions at the Department of Justice, according to Gay & Lesbian Victory Fund. He’s not the first openly gay person to head the civil division, Stuart Delery, who lead the administration’s effort in litigation against the Defense of Marriage Act, also occupied that role. Prior to his new role, Mizer served as a senior adviser to Holder on matters related to constitutional law, national security, civil rights, civil litigation, anti-trust law and the Supreme Court. Mizer received his law degree from the University of Michigan Law School and his undergraduate degree from the College of Wooster. Mizer is now the second most senior openly gay official at the Justice Department. Delery, who’s current serving as acting associate attorney general, is the highest-ranking out official in the department. Holder is expected to remain head of the Justice Department for only a brief period longer. Late last year, he announced he would step down from his role as attorney general. Obama’s nominee to replace him is Loretta Lynch, U.S. attorney for the Eastern District of New York. The Senate Judiciary Committee approved her nomination last week, but the timing for the full Senate vote on confirmation remains in question. Sarah Warbelow, legal director for the Human Rights Campaign, praised Mizer upon news he would head the civil division of the Justice Department. CORRECTION: An earlier version of this post incorrectly stated Mizer was named head of the civil rights division. The Blade regrets the error. Congratulations! Congrats on the recognition of your abilities as well as your visibility.